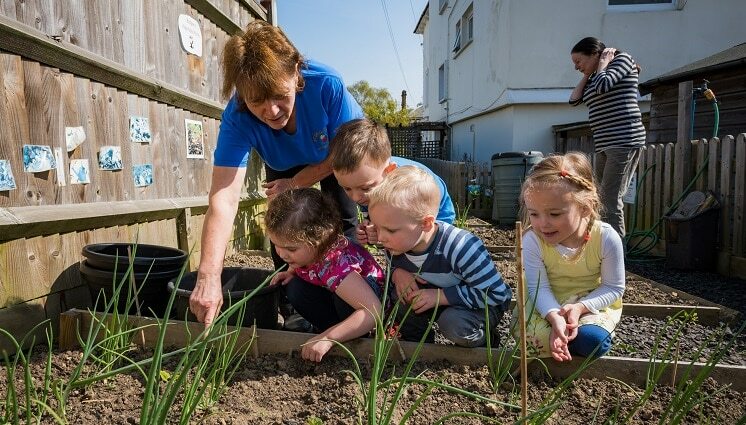 St George's Childcare is an Ofsted 'outstanding' nursery and children's charity based in Tunbridge Wells, Kent. We care for up to 90 children a day, aged 3 months to 12 years, and we run a nursery, term-time pre-school, after school club and holiday club. Since we were established in 1982, supporting the community has always been at the heart of St George's ethos. We ensure our fees are affordable, and are the only nursery in the town to provide subsidised childcare to families in need. It means we can support vulnerable children and families who are struggling due to domestic abuse, mental illness, disability and any other reasons they may be experiencing financial hardship. What perks has having a garden brought to the nursery? We have a large outdoor space which includes a sandpit, climbing frame, mud kitchen and sensory baby area. 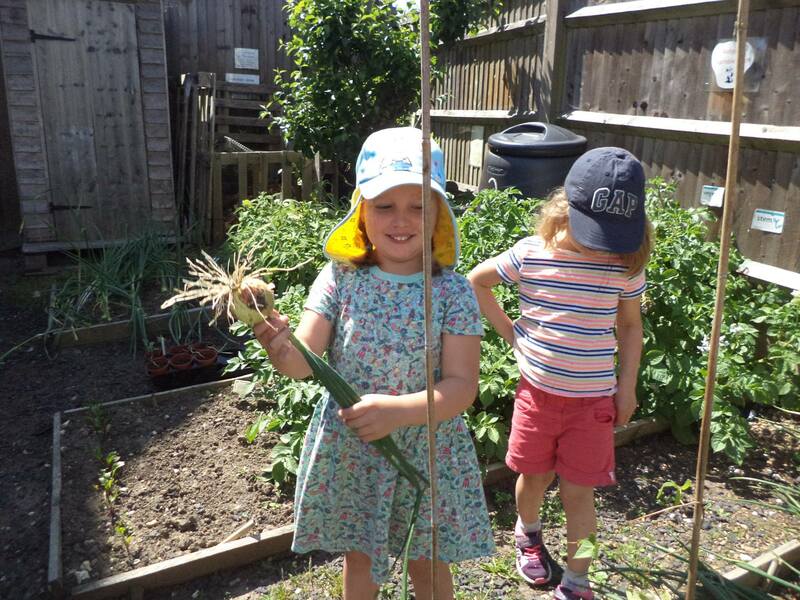 We also have an allotment area where the children learn to grow fruit and veg which they then help to dig and pick for it to be cooked in our onsite kitchen. It's a wonderful space for the children to learn not only about growing food and healthy eating, but about the insects and pollinators. 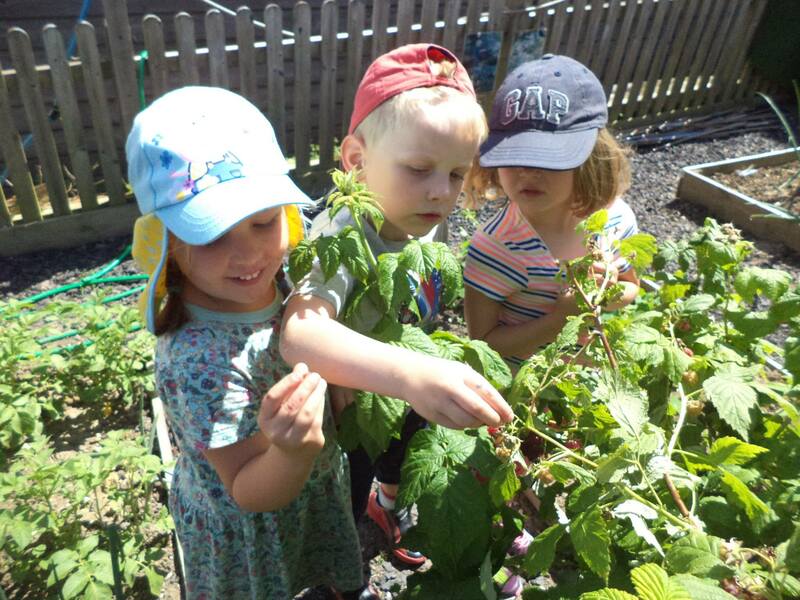 The children love to see what they have grown and are always so exited to see what food is on the kitchen menu because they know they have contributed to it. By growing and cooking vegetables themselves, children are much more likely to enjoy healthy eating and develop healthy habits. Who else supports your nursery garden? Our catering manager Sherrell Chapman is dedicated to making the allotment area the best it can be and spends a lot of her free time, including her lunch breaks, tending to the plants. She has got it all ready for planting this year - turning the soil, leveling the ground, setting up rotten logs as 'bug hotels', making a bird bath and making compost. The allotments are looking the best they've been for years, and we can't wait to see what sprouts this spring and summer! All the staff get involved in supporting the children to dig, sow and grow. 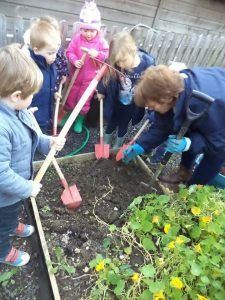 In-fact all of our staff recently undertook special training in how to make the most of the garden and create exciting activities for the children no matter what the weather. We have volunteers from local schools and the local community who support us in lots of ways including in the garden and at our fundraising fairs. Nottcutts Garden Centre have already been very supportive of us – donating two fruit trees, compost, flowers, seeds and logs to improve our outdoor space. We’re continuing to improve the allotments e.g. build a better compost bin, creating more environments that attract insects. The children will be planting fruit and vegetables soon, ready to grow and pick later this year. They’ll then help to cook these and make some delicious, healthy meals. We’re also having a new mud kitchen installed in the next couple of months – and we have been very fortunate to have received funding for this from The Screwfix Foundation and Kent County Council.